A hoverboard is a fancy two-wheeled vehicle designed for people who love short-term adventure. You can use it to commute to college, cruise on a boardwalk, or ride to the gym. Lamborghini hoverboards are eco-friendly, self-balancing and boasts of brilliant engineering. It also comes with the latest safety features to help you try the coolest riding skills. 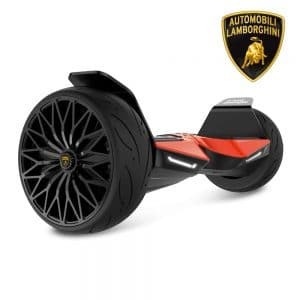 If you are looking for a premium quality hoverboard that offers a fun riding experience on any kind of terrain and will never let you down on any safety measurement then we think that this Lamborghini 8.5-Inch All Terrain is the way to go. A quality hoverboard pays special attention to safety. Whether you’re buying this gadget for your kid or teenager, you should ensure it guarantees safety. It’s prudent that you buy from a supplier who has been in business for many years. Here are some aspects to consider when choosing the right model. If you’re buying a hoverboard for your child, you may want to consider a scooter with 4.5 or 6-inch wheel diameter. For larger and heavier riders, a model with 8-inch wheels and above would be appropriate. The wheel size also determines weight capacity. Models with smaller wheels can support up to 220lbs while those with larger wheels can accommodate up to 265lbs. Hoverboards with bigger wheels can ride well in uneven pavements, grass, and gravel surfaces. It’s worth mentioning that smaller wheels are best for indoor cruising while larger wheels are suitable for outdoor adventures. A battery of good premium quality will last for a long time and does not overheat. But how can you identify a high-quality battery? The best batteries with unflawed reputation are LG and Samsung. You can ride your hoverboard for 3-4 hours without worrying that your device will run out of juice. So if your scooter shows the battery warning light after 1 hour, then that’s a red flag for saying that the battery is of low quality. Other factors that determine if the battery will last include the weight of the rider, weather conditions, the type of terrain, and the handling of the scooter. The best hoverboards come with rechargeable lithium-ion batteries. 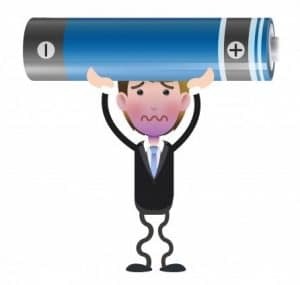 Most manufacturers recommend that you recharge the battery when the power goes below 20%. The speed of a hoverboard is determined by the power of the motor, wheel size, and built-in safety limits. While most models have a declared top speed, keep in mind that the actual speed will depend on the terrain and weight of the rider. On average, most models cover a range of 10-15 miles on a flat surface. If you’re looking to ride with speed, buy a unit that attains a maximum speed of 12 mph and has all-terrain capability. A general rule of thumb when buying a hoverboard is to check the UL2272 certification. This standard evaluates the safety of the electrical drive train and charger system. Never buy a product without this mark, especially if you’re buying for your kids. Over the years, we’ve seen several episodes where these devices lit up while riding, endangering the lives of the users. That said, children under 12 years should never be allowed to ride hoverboards without supervision. And of course it is always advisable that you follow the manufacturer’s safety guidelines. Nowadays, the market is saturated with brands that don’t pay attention to quality. Some of the parts you should look at when buying the board include the materials used, frame, internal motors, wheel sensors, and electrical components. Be sure to buy a hoverboard from a trusted manufacturer – someone who has years of experience in the business. Before taking the plunge, take time and read the online reviews. While this is not the main determining factor, I would still say it: don’t buy hoverboards that look too cheap to be true. Cheap models are not safe to use and have weak batteries while high-end models are strong enough to accommodate the weight of different riders. If you’re looking for a product that will serve you for many years to come, choose models within the price range starting from $200. While hoverboards have been around for many years, Lamborghini made the first hoverboard to obtain UL2272 certification. Every part of this self-balancing scooter complies with government regulations and is 100% authentic. Secondly, the board uses the latest technology and is built for longevity and reliability. Compared to other models out there, it’s easier to ride it regardless of your skill level. New riders learn how to ride in 5-10 minutes. Another eye-catching feature is the battery system. It’s estimated that 95% of hoverboards out there have a faulty battery. This is not the case with Lamborghini. It comes with the latest UL Certified battery pack that has built-in overcharge protection and can safely be charged 2000+ times. 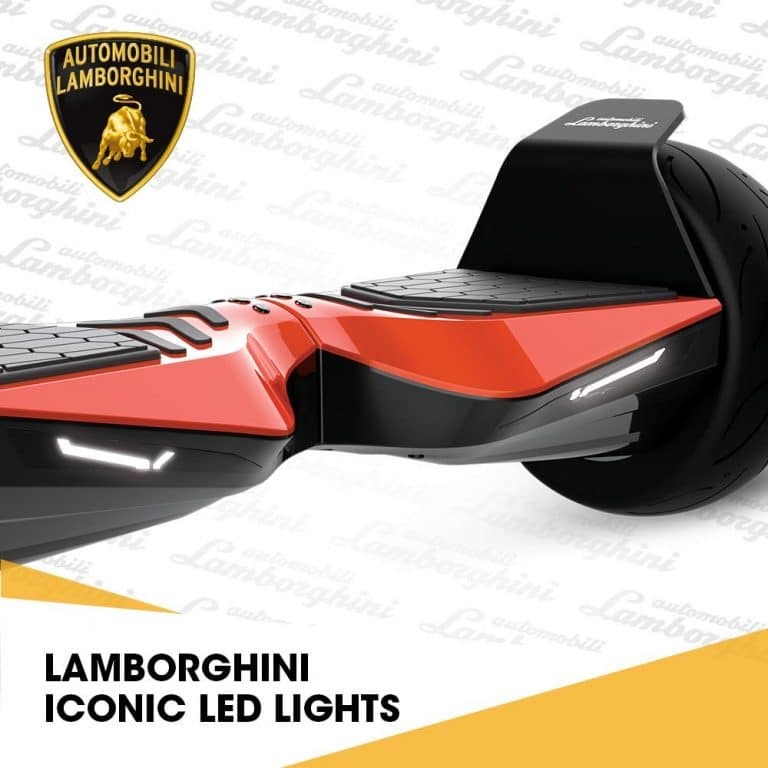 Lastly, Lamborghini is the leading hoverboard retailer in the USA and has unmatched customer support department. They go over and above your expectation to ensure your hoverboard purchase is hassle-free. Now let’s have a closer look at one of the most stunning models created by Lamborghini. The 8.5-inch hoverboard is as sturdy as the predecessor and comes in a variety of colors including red, black, yellow, and carbon fiber. It’s 33 percent larger and two times more powerful than the leading competitors. Besides that, the stunning LED design makes it the best in its class. The cool LED display serves as a turn signal. It blinks when you move to one side and then returns to solid light when you straighten out again. This safety feature comes in handy when traveling at 10 mph, especially when pedestrians won’t anticipate your movement. Note that the smart body sensors respond to the body’s natural sense of balance. The 8.5-inch, all-season wheels ensure that you have an exhilarating riding experience. They deliver great stopping power and traction, even in snow. When you combine with the unibody design, they increase rider stability in any terrain. Whatever mode you’re in, the hoverboard handles it exactly how you want it to. With great maximum speed and handling, this is a good solution for commuters. Looking at safety, Lamborghini is in a class of its own. As I already mentioned, it is UL2272 certified and is also fitted with a smart battery. This product has undergone thousands of safety tests to ensure your peace of mind. You can be sure the battery will not explode or catch fire. While the average battery of hoverboards lasts 60 minutes, this model gives 3-4 hours of battery juice. And with the Built-In Bluetooth Speaker, the hoverboard earn high marks. This is a fun inclusion when cruising around the block. The board can be a great birthday or Christmas gift for sporting enthusiasts. Lamborghini hoverboards are the most powerful self-balancing scooters ever made. They are UL2272 certified which means they are 100% safe and secure. To obtain this certification, each model has undergone a series of tests. Other than that, they use gyro sensor technology to balance the two motor hubs for a smooth ride. As you shift your body weight, the scooter automatically adjusts itself. When you try it out, you’ll realize that this is one of the best self-balancing scooters you can ever buy. In terms of performance, Lamborghini can travel at epic speeds on any kind of terrain thanks to the rugged wheels. It doesn’t matter whether you’re riding on smooth ground, gravel, or grass, the tires will carry you safely. This is breathtaking as most brands limit you to sidewalks. Furthermore, this product comes with improved safety features so you can try out the latest riding skills. Aesthetically, this brand speaks for itself. The bottom part is fitted with LED lights which increase the beauty as the wheels turn around. Moreover, you can choose from the variety of colors provided to suit your taste and preference. When riding the hoverboard, you can enjoy your music using the inbuilt Bluetooth speakers. To connect it to your mobile device, you simply open the Bluetooth option of your device and then press the power button of your scooter. Once you’re connected, the Bluetooth light will flare up. In the global market, this brand is highly rated by customers. It comes with an impressive warranty and excellent after-sales service. It’s also worth mentioning that this is one of the few brands that suits both kids and adults. Before I explain how a hoverboard works, let me give you an insight into the technology underneath. There are many parts that dictate how a hoverboard works – from the main motherboard to sensor technology. Some of the key parts include gyroscopes, electric, motors, tilt/speed sensors, logic board, pressure pads, and battery packs. After all, it’s just science. Now let’s dive in. When you step on the footpads, the tilt-sensors and gyroscopes cause the movements. If you lean forward, it speeds up and if you want to slow down, your weight travels backward. Simply put, the speed sensors read the weight distribution and translate in real time while the gyroscope establishes the center of gravity. The pressure pads play a huge role in detecting the movement. Each side of the board has two switches – one at the front and the other at the back. These clever switches facilitate the turning mechanism. I’m sure you can picture this technology in action. All processing happens in the motherboard. It understands the feedback from the speed controls like acceleration, deceleration, and turning. That’s not all; it understands the relationship between the wheel, pedal, and how the sensors combine the movements of each footpad. A hoverboard is powered by a battery pack which works with the motherboard for a smooth ride. Most brands use a lithium-ion battery which has a longer lifespan. However, what makes it so marvelous is the technology that results in self-balancing. It’s that simple. When you buy your first self-balancing scooter, you’ll be concerned with scratches and dings. Here are a few extras to consider. Self-balancing scooters are heavy, not to mention you’ll have to carry them if the battery charge drains. If you’re going to haul yours, you need a backpack. Before you make your purchase, make sure you know the correct size of your hoverboard. It’s also a good idea that you choose a waterproof bag. And if you’ll be using the board the whole day, you need a place to store your battery charger. If you don’t want your ride to look like a mess, you should invest in hoverboard bumpers. You simply stick them on the arch of your board and next to the wheels. Avoid buying those with a plastic film because they don’t provide enough protection. Only invest in protectors that are lightweight and scratch-free. Nowadays, manufacturers have started making silicone cases that cover the entire scooter. This is the way to go if you want your hoverboard to remain in pristine condition. They come in pretty cool designs to help you create a personalized look. Are hoverboards dangerous? What safety gear should be used? While hoverboards are so popular for both kids and teenagers, they have received some bad press. This happens because some untrustworthy manufacturers produce low-quality products and sell them at a low price to undercut competitors. But as long as you buy a quality product, you’re guaranteed a safe ride. If you don’t think you need safety gear as you cruise the streets, you may want to reconsider your decision. Let’s have a look at the most important safety gear. The best helmet should have a shock-absorbing foam, vent holes, breathable pads, adjustable strap, and adjustable size. You should also ensure that the helmet uses some reflective material for better visibility by other road users. Of course, you have to choose a product that is eye-catching. You have no idea how glad you’ll be when you stumble with your elbow guards on. The best guards feature built-in splints that offer good protection. They come in different sizes and colors, so be sure to choose a set that suits your taste. The tailbone protector comes in handy when you fall on your back. This is common for most beginners who don’t have reflexes to extend the arms. Sometimes, it’s quite hard to predict how you’re going to fall. What is a UL 2272 certification again? Lately, hoverboards have been under hot debate due to numerous cases of catching fire. The main reason for these incidents is the leakage of lithium-ion battery. This is where UL 2272 comes in. It’s a national standard for USA that confirms the safety of the electrical drive train system and batteries in hoverboards. Hoverboards must undergo a series of tests including overcharge and drop tests to ensure they’re safe. Always check if the product has this certification mark before buying.